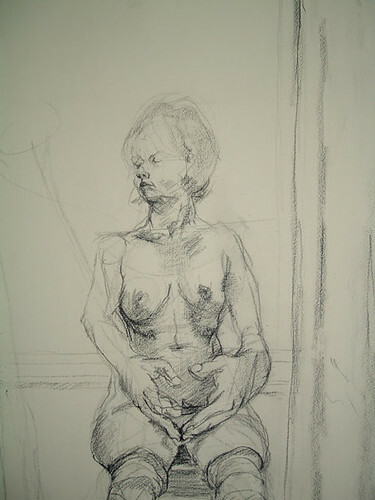 I’m going to be teaching Life Drawing this semester at Murray State. I’m really excited about the class! These past few weeks I’ve been working on my syllabus and boning up (sorry, I can’t help myself!) 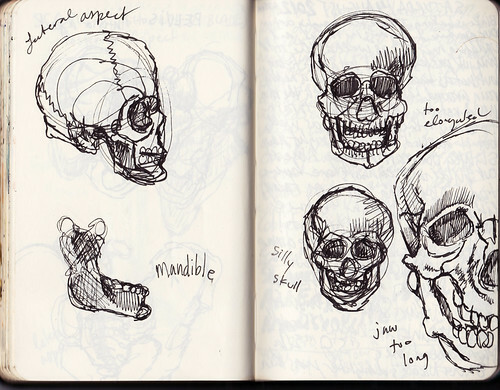 on anatomy to get ready to teach. 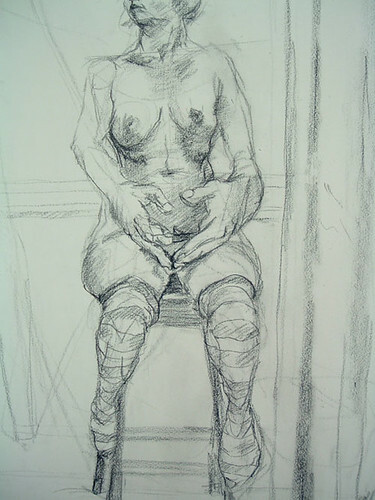 Even if you’re not particularly interested in drawing the human figure or drawing from life in general, the study of the human form and anatomy is a great way to wrap your mind around complex 3-D forms in space and to find a way to translate these volumes onto a 2-D surface. 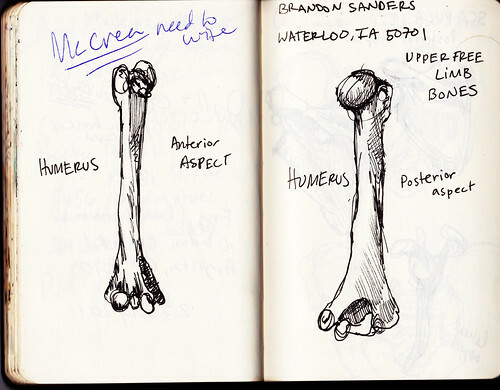 In addition to drawings such as these in my sketchbook, I’ve been working on compiling handouts for my students with samples from some of my favorite anatomy texts. 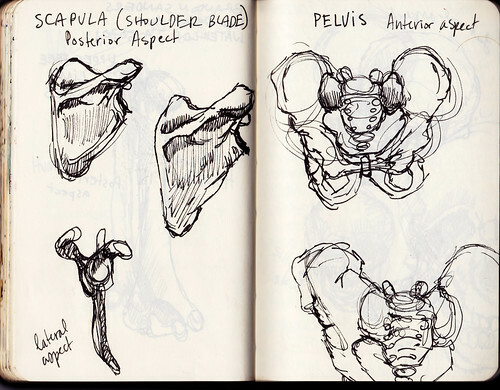 Each of these has their limitations, but they work well together to form a fairly good study of the human form in space. Schider, Fritz. 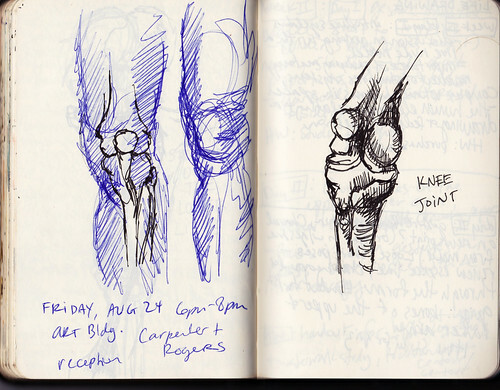 An Atlas of Anatomy for Artists. Dover Publications: 1957. Barcsay, Jeno. 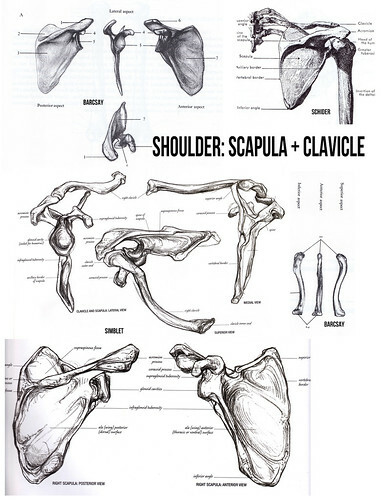 Anatomy for the Artist. Little. Brown Book Group: 2006. Perard, Victor. 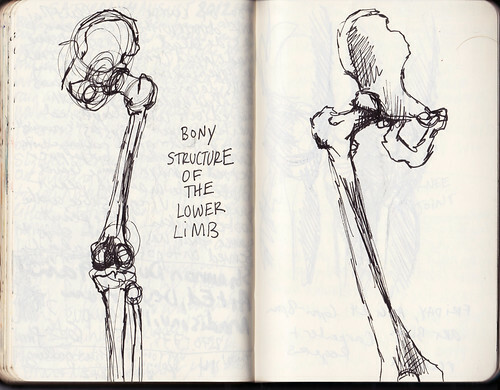 Anatomy and Drawing. Dover Publications: 2004. Simblet, Sarah. 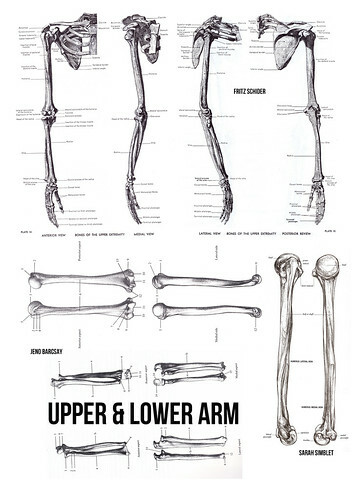 Anatomy for the Artist. 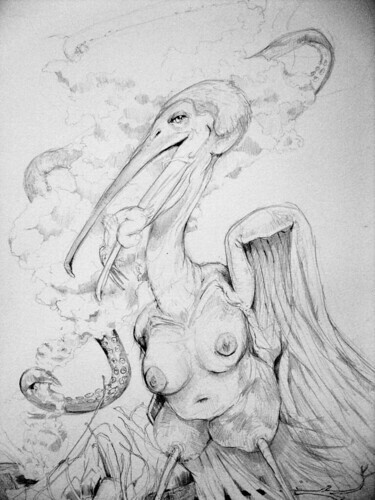 DK Publishing: 2001.